The regulatory steps that lead to the differentiation of hematopoietic cells from a multipotential stem cell remain largely unknown. A beginning to the understanding of these steps has come from the study of DNA-binding proteins that are thought to regulate the expression of genes required for specific developmental events. 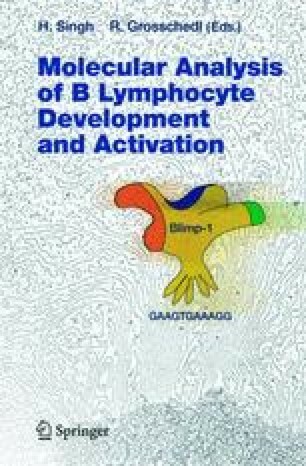 Ikaros is the founding member of a small family of DNA-binding proteins required for lymphocyte development, but the members of this family differ from other key regulators of lymphopoiesis in that direct target genes have not been conclusively identified, and reasonable support has been presented for only a few potential targets. Therefore, the molecular mechanisms that Ikaros uses for regulating lymphocyte development remain largely unknown. Current data suggest that, in some instances, Ikaros may function as a typical transcription factor. However, recent results suggest that it may function more broadly, perhaps in the formation of silent and active chromatin structures. In this review, our current knowledge of the molecular functions of Ikaros will be discussed.